Eyebrows have evolved over the years from barely there to bold and beautiful. They frame your face so they have the ability or make or break your entire look. We have Cara Delevigne to thank for the natural, thick brows comeback. With that came a slew of eyebrow trends for our viewing pleasure. Some are whimsical enough for Halloween and others are worth a try for a special occasion! 2016 ended with the glitter blowout. It introduced us to glitter brows, glitter hair, and unfortunately even glitter pits. 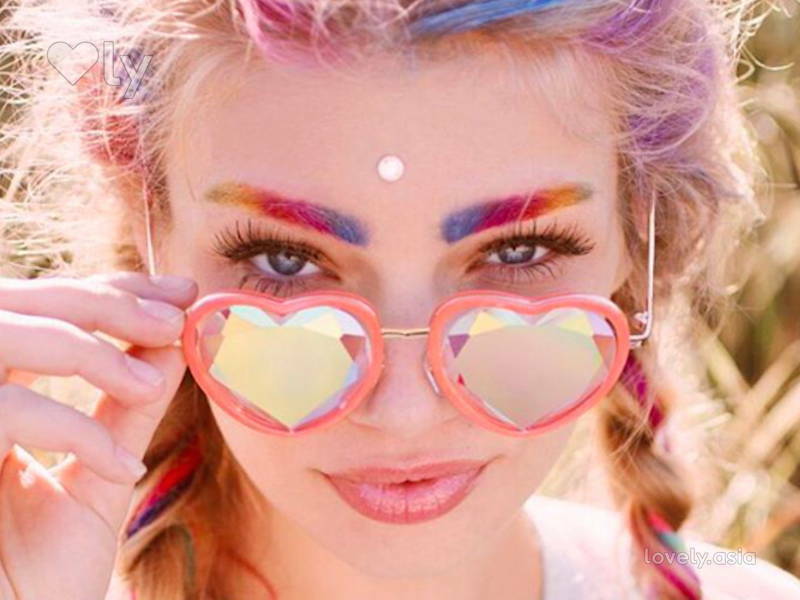 But we’ve got to say, this trend works well in a festival setting or if you’re desperately trying to divert attention away from your eye bags! 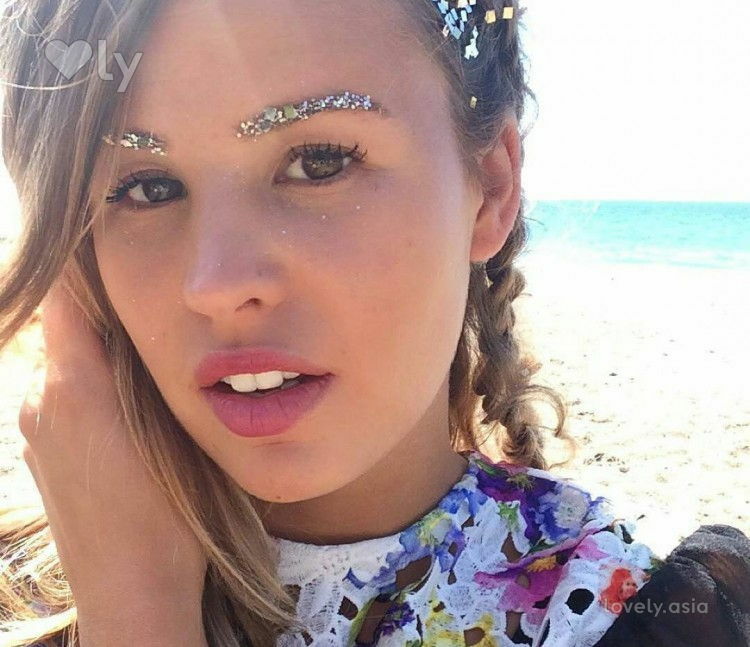 TBH, just like the glitter brows, this look is best kept in the vicinity of festivals and parties. We can see this look dominate Ultra and Coachella but unless you’re a daring celeb or influencer, this is probably not an everyday look. Kendall Jenner, Lady Gaga, and Kim Kardashian have all rocked the bleached eyebrows look. So instead of rocking the power-brow, these celebs and many more have opted to go essentially, browless! Although it’s a super cool (avant garde) look, it isn’t for everyone. If you want to see how it would look on you, we suggest lightening your hairs with a concealer and light colours brow mascara. Honestly, we love this look! But just like the rest, this isn’t for everyone and everyday. Feather brows are parted horizontally in the centre with the help of Vaseline to make a feather-like shape. Started by Finnish makeup artist Stella Sironen, these brows have caught on and honestly, they’re an art form. 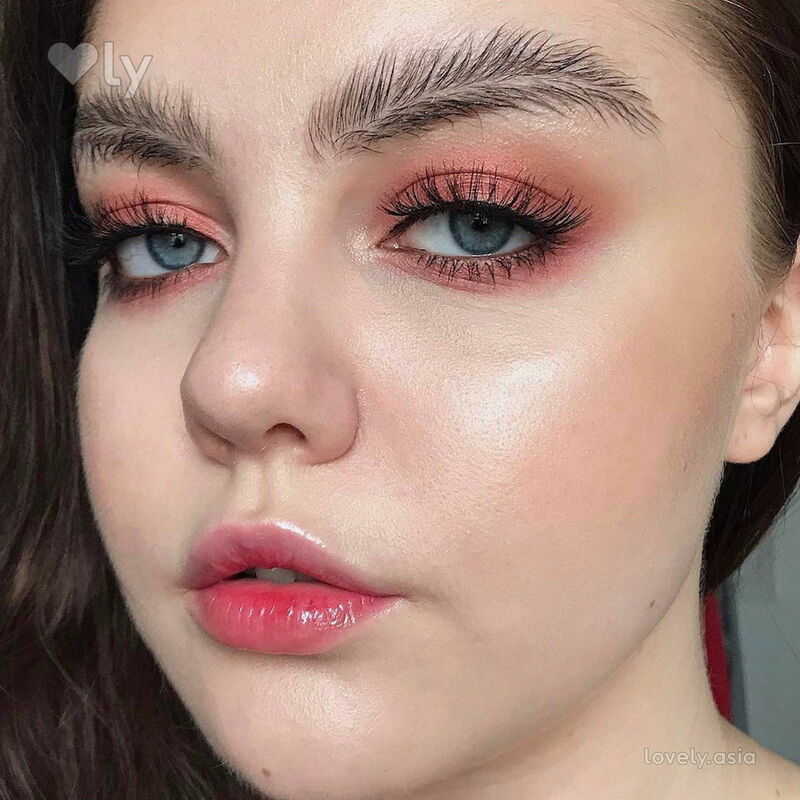 Soon after the arrival of feather brows, Dragon Brows took the industry by storm. The bold look featuring dragon-back spikes looks so badass we gotta give props to makeup maven Harlibi for coming up with this whimsically cool look. Beauty bloggers have now been experimenting with this wiggle or squiggle brow and we quite frankly have mixed feelings about this one. They’re pretty to look at in pictures but tbh, they make you look permanently confused IRL.